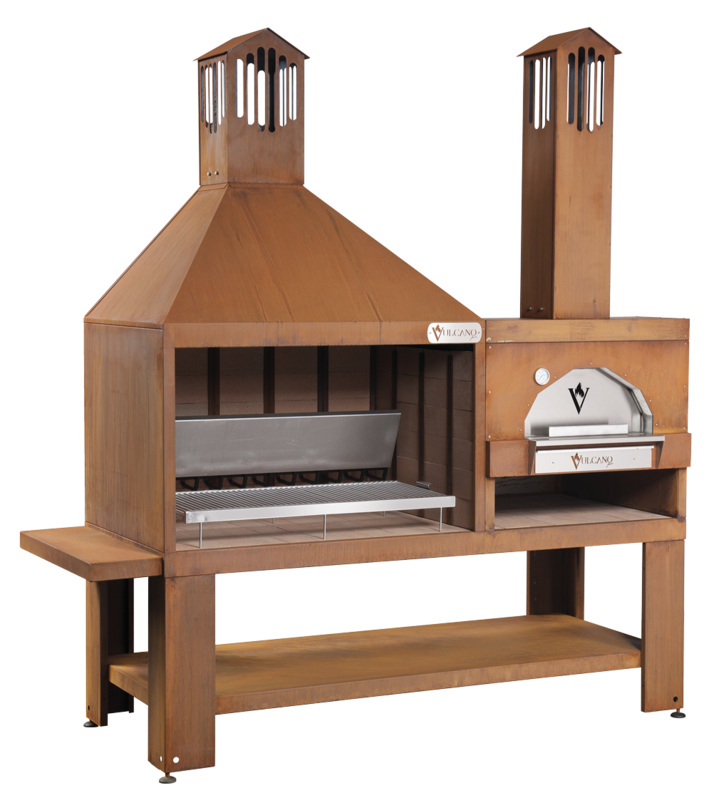 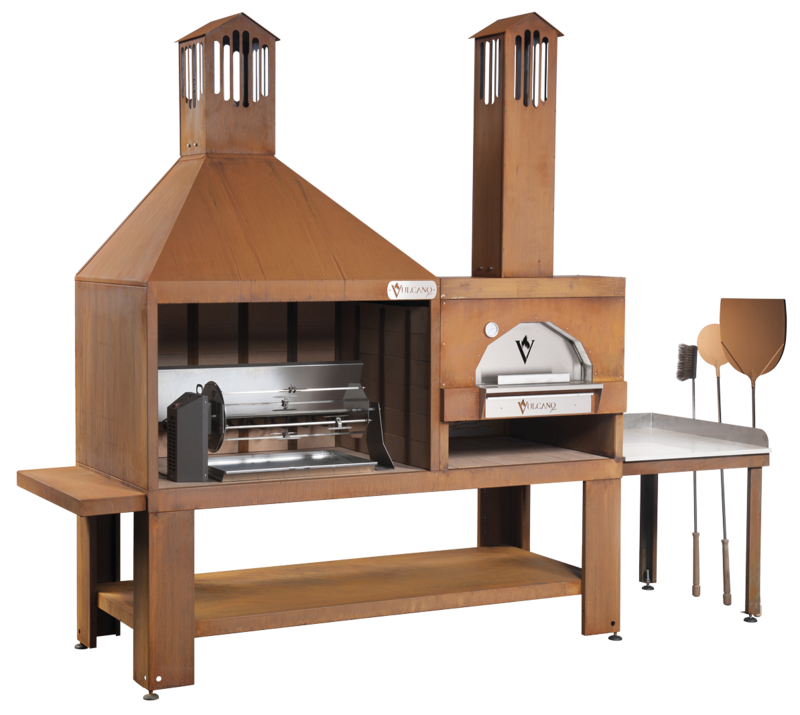 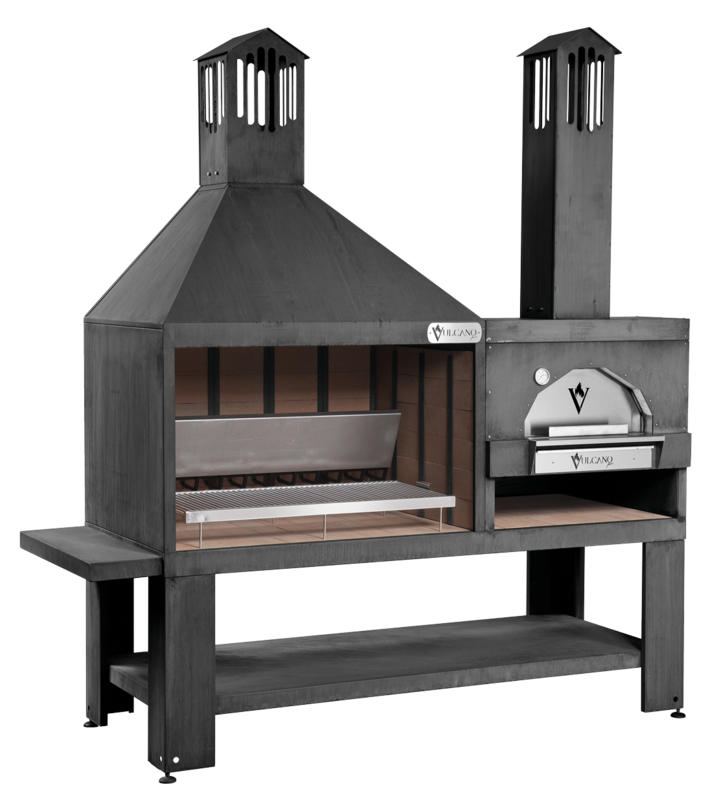 Monobloc consisting of a T/TC Series fireplace and a pizza oven. 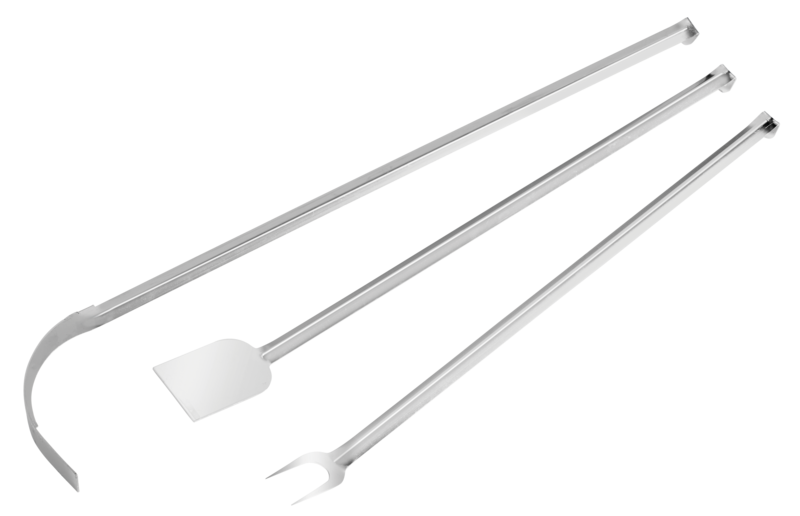 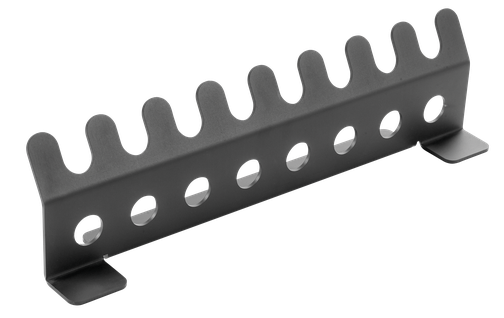 2 - in Aluminized steel painted with silicone coating resitant to high temperatures 500° black. 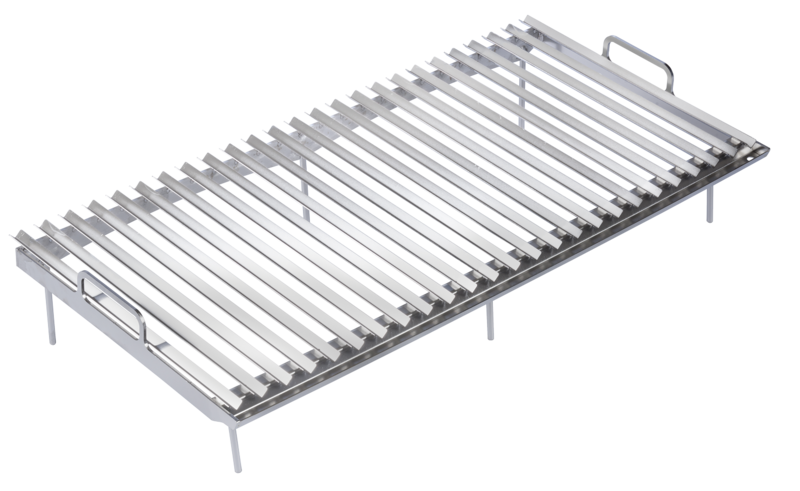 Covered with refractory material thickness 30 mm. 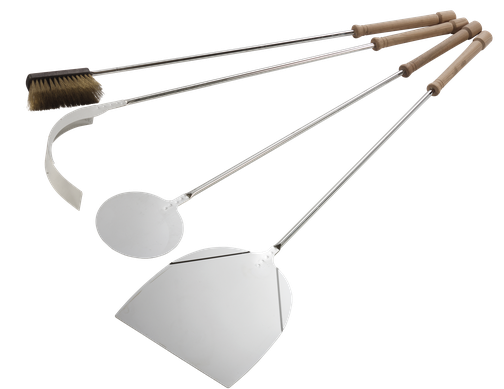 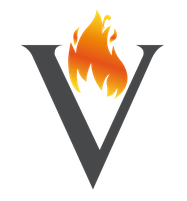 For accessories watch the page of pizza oven and Vulcano Series T/TC. 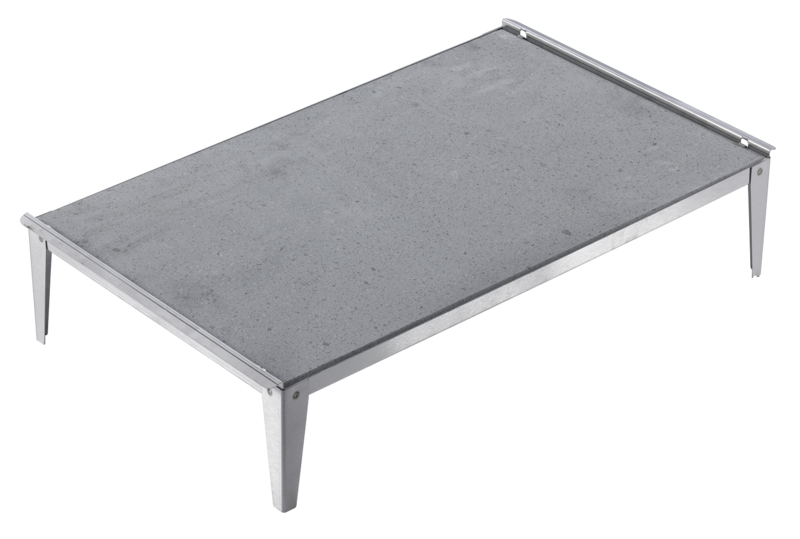 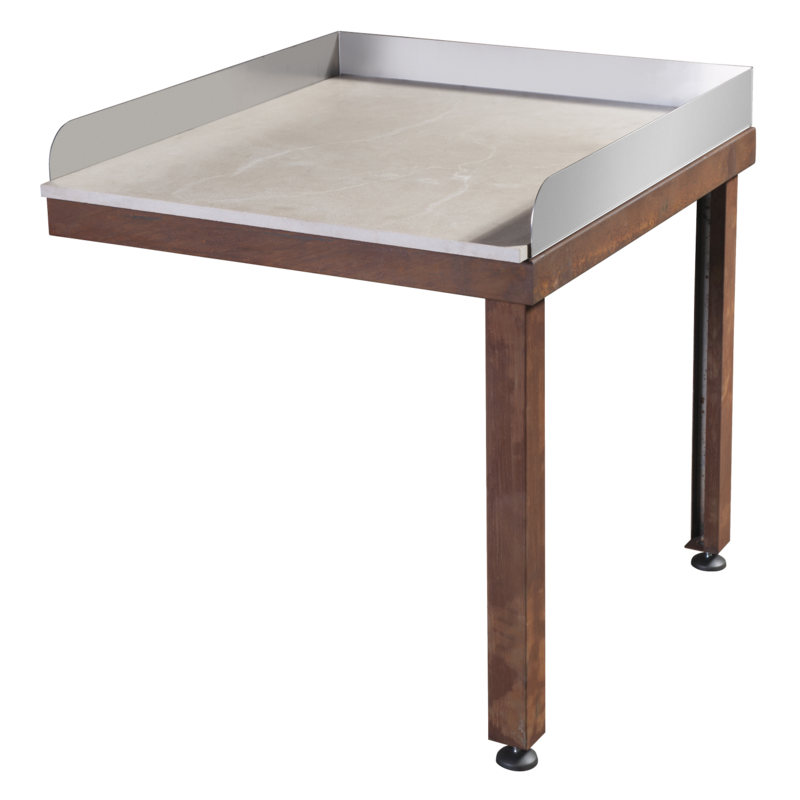 Stainless steel aisi 304 cooking grid with polished rounded bar Ø 8. 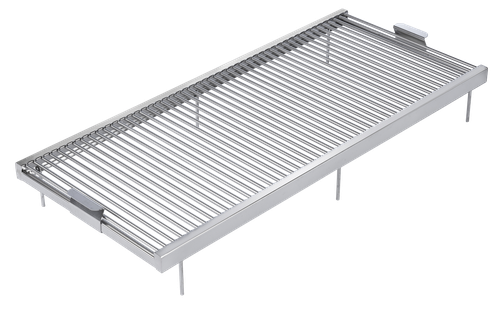 Stainless steel aisi 304 cooking grid with polished drainage ducts. 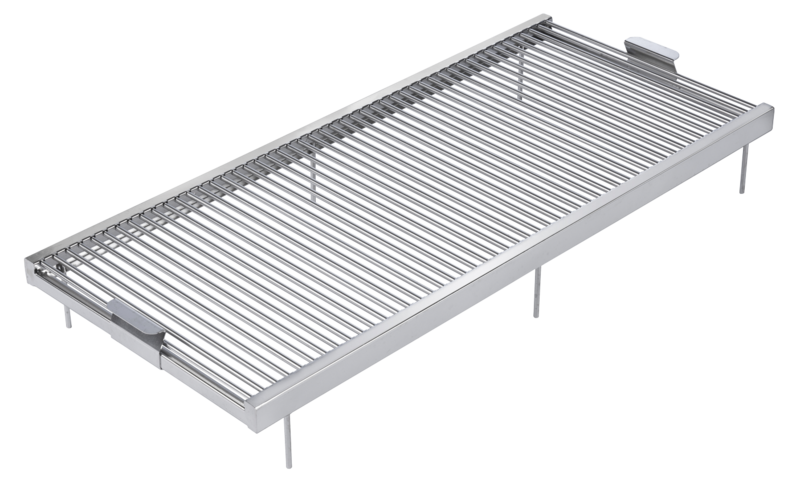 Stainless steel aisi 304 cooking grid with soapstone cooking surface thickness 20 mm.